This is an updated version of an article originally written by Kurt Sevits. Block 20 is a proposed hi-rise condominium building. 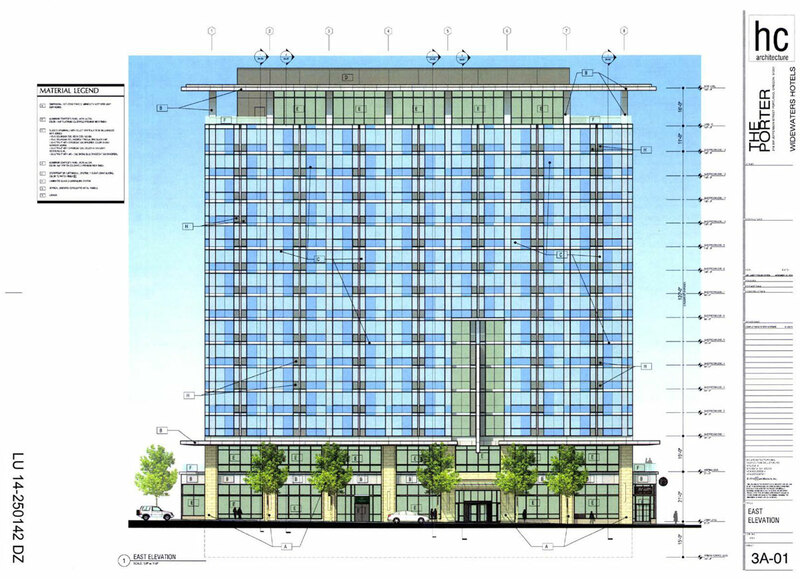 One-hundred forty-two units are included in a five floor podium and 20 floor tower.No retail is proposed for this project. All parking is above grade and surrounded by units. Build two new 3-story apartment buildings with no basement. One structure will be 18 units. The other structure will be 12 units. New 46-unit mixed use apartment building with 2700 sq ft of commercial. New self-storage facility. Existing structure(s) to be demo’d/removed. Proposed change of existing warehouse to office use with retail on ground floor. Also a proposed addition to the building of one story penthouse for residential occupancy. See EA 15-216040. See EA 15-242170 appt and CO 16-100215. New two story four unit apartment structure behind existing single family residence which will remain. Proposal for joint development of boutique hotel with 245 guest rooms and on site fitness center and conference center. Project will include ground floor and rooftop retail space. One modification needed for ground floor window and 1 adjustment needed for number of loading spaces. Proposed project is a four story commercial building consisting of one story of ground floor retail space and secured parking below three stories of office space. 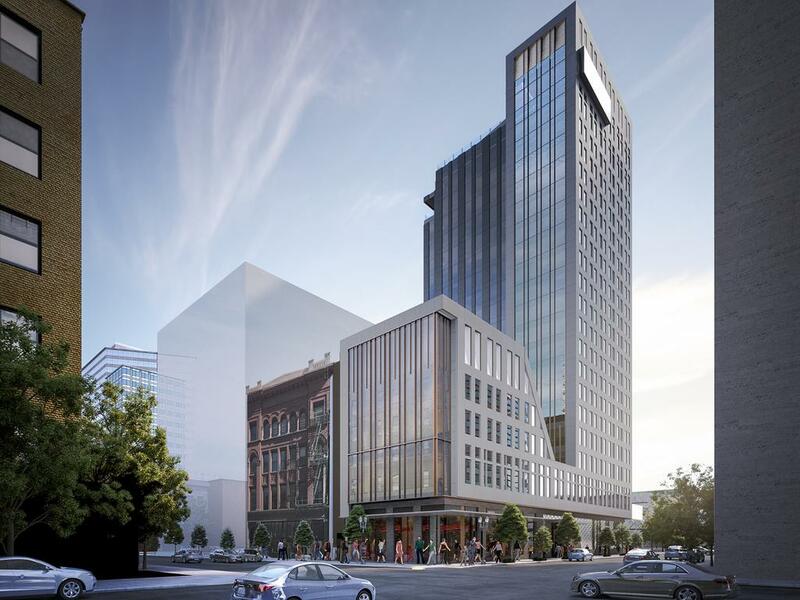 new 16-story, 299 guestroom hotel includes first floor full service restaurant, market cafe; second floor 5,000 sf meeting room with outdoor terrace; rooftop restaurant and covered terrace. One level below grade with shoring includes gym facilities, locker rooms, pool and back of house activities. 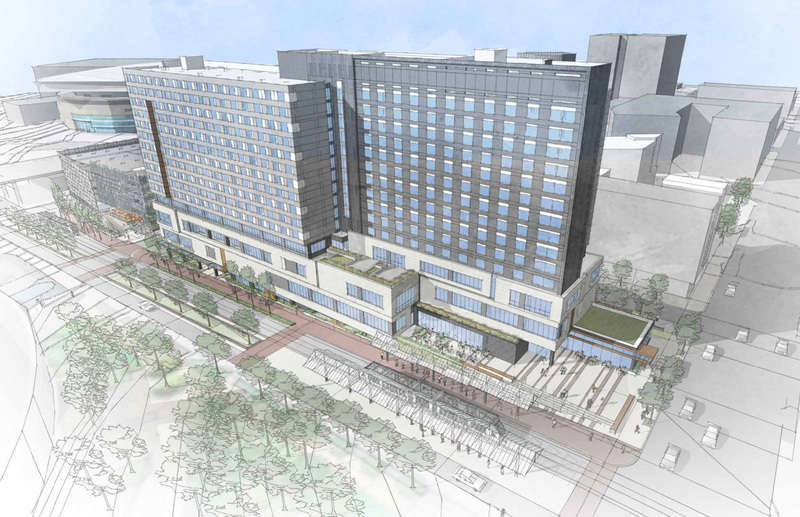 After one Design Advice session, the Porter hotel is scheduled to be reviewed by the Design Commission. 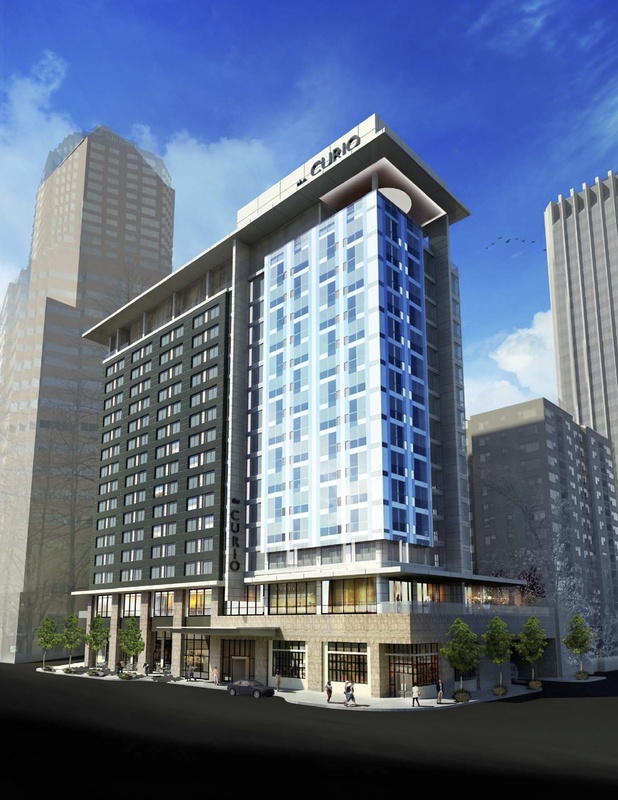 The 299 room hotel will be part of the Hilton’s Curio Collection, a brand launched in 2014 for independently owned four to five star hotels. 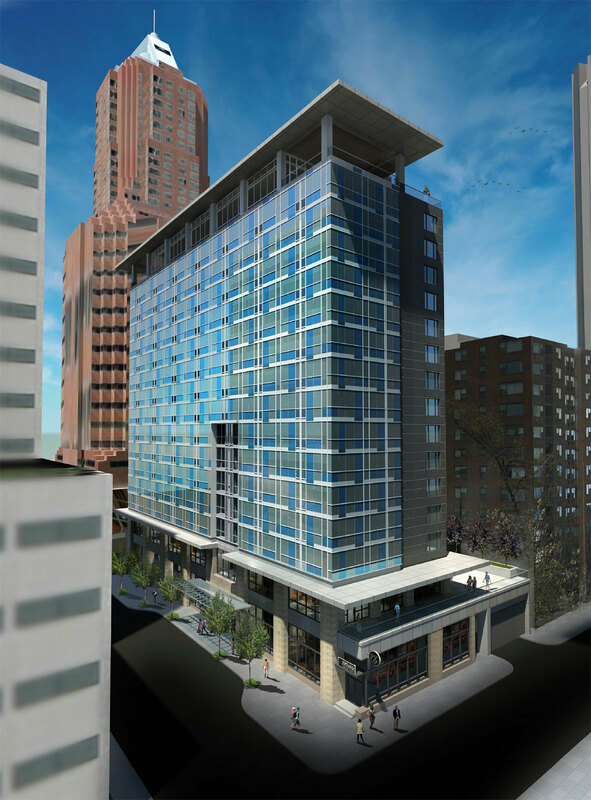 The hotel is being developed by The Widewaters Group, with design work by HC Architecture of Atlanta. 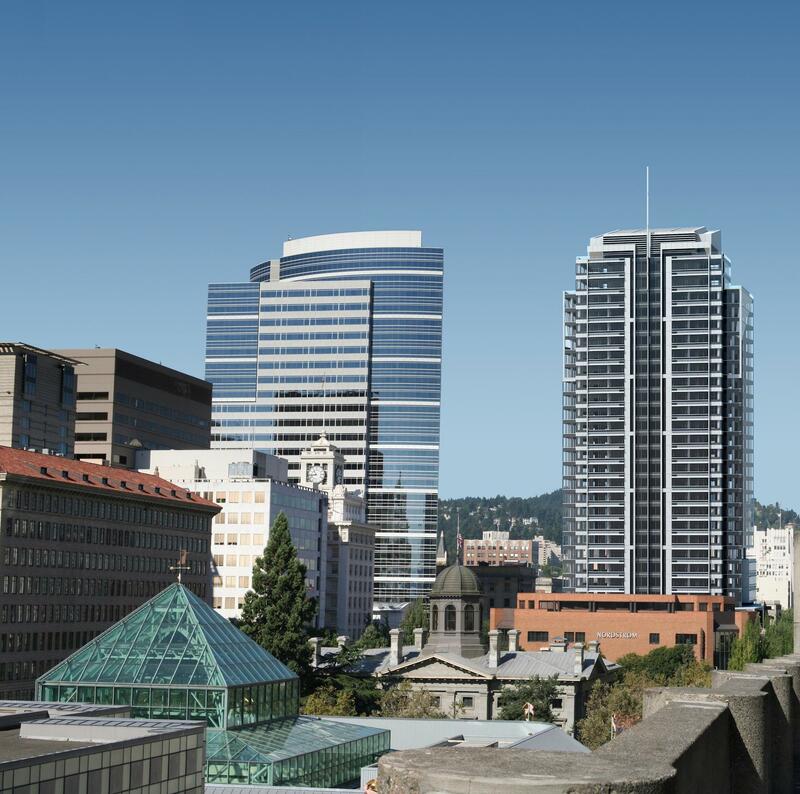 The Oregonian reported earlier in the year that Hilton planned to open a new hotel in Downtown Portland in 2016, under its new Curio Collection brand. That project is now set to have its first Design Advice hearing on December 4th, prior to submitting the project for a full Type III Design Review. 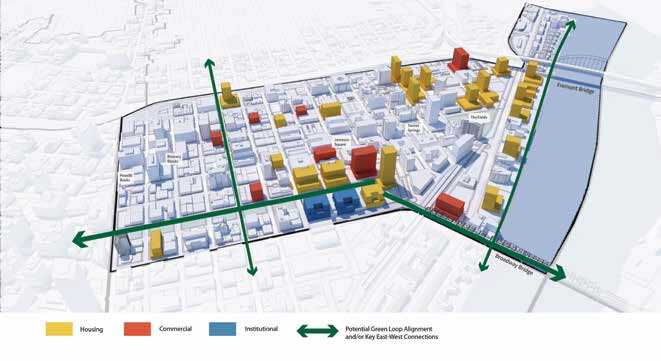 The architects are HC Architecture of Atlanta.